(Marysville, WA) – Close to half of Marysville’s public school students are risk of not having basic supplies for the 2018-2019 school year, simply because their families cannot afford it. 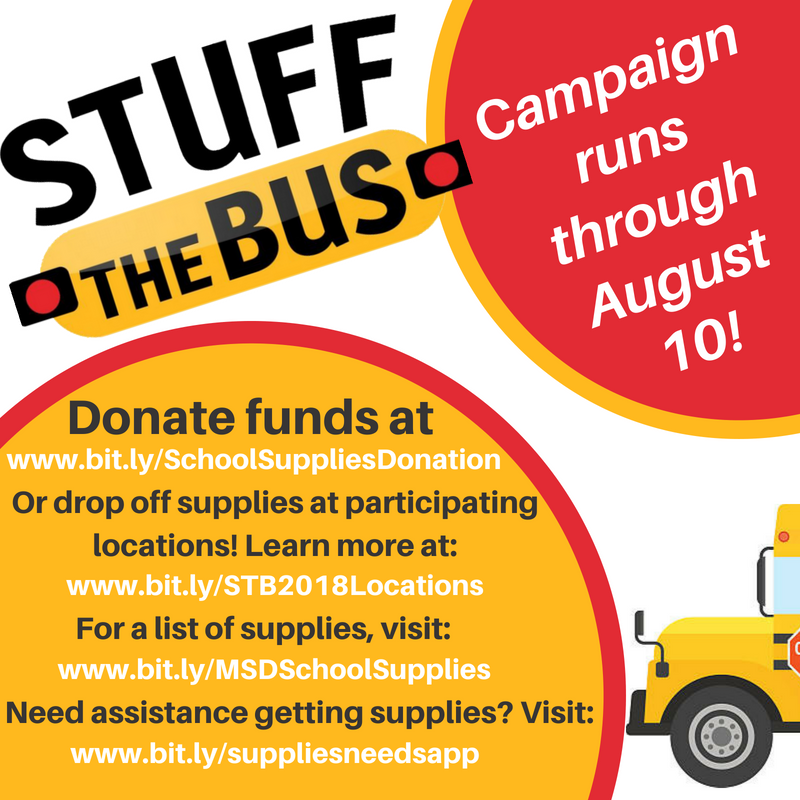 Through August 10, community members are invited to participate in the Stuff the Bus campaign and donate school supplies that will help set these students up for success. School supplies can be dropped off in the red barrels at select locations throughout Marysville, including any City of Marysville building. Financial donations can also be made online at www.bit.ly/SchoolSuppliesDonation. Supplies collected during the campaign will be distributed in August to more than 600 Marysville students. The Salvation Army, Marysville Community Food Bank and additional local partners are sponsoring the campaign, which kicked off earlier this month. If you would like to volunteer with Stuff the Bus, visit www.bit.ly/STB2018Volunteers or call 360-926-2228.